General Atomics Aeronautical Systems Inc. (GA-ASI) will begin flight testing of an Improved Avenger in October 2016. 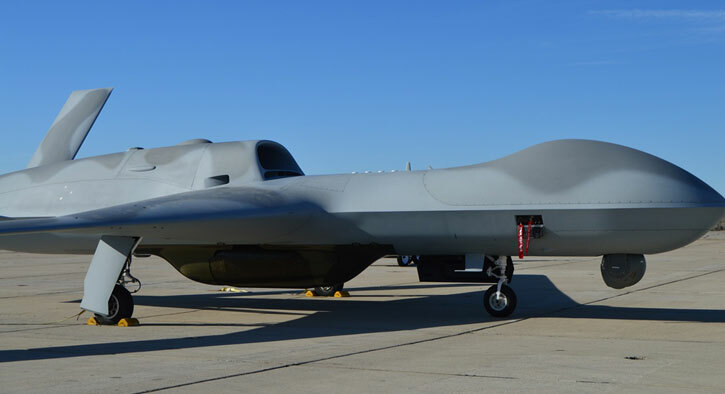 This enhanced version of the semi-stealthy drone will enhance the Avenger’s capabilities on long endurance intelligence gathering missions carrying the new MS-177 Electro-optical/Infrared (EO/IR) sensor recently demonstrated in flight. With an increased wingspan of 23 meters (76 feet), the improved Avenger will extend the aircraft’s endurance from 15 hours to 20 hours, thus increasing the utility of this strategic reconnaissance collector over a longer period and extended range. The Avenger that first flew in April 2009 is powered by a single Pratt & Whitney Canada PW545B turbofan engine. Its airframe has some stealth features, including an internal weapons bay that can carry up to 1,600 kg (3,500 pounds) of internal payloads. This payload bay accommodates the new reconnaissance sensor. In addition, the Avenger has six external hardpoints carrying additional ordnance for a total weight of 2,900 kg (6,500 lbs) payload total. With a maximum speed of 740 km/h (460 mph), the Avenger is significantly faster than other propeller-powered Predator family drones (482 km/h – 300 mph). 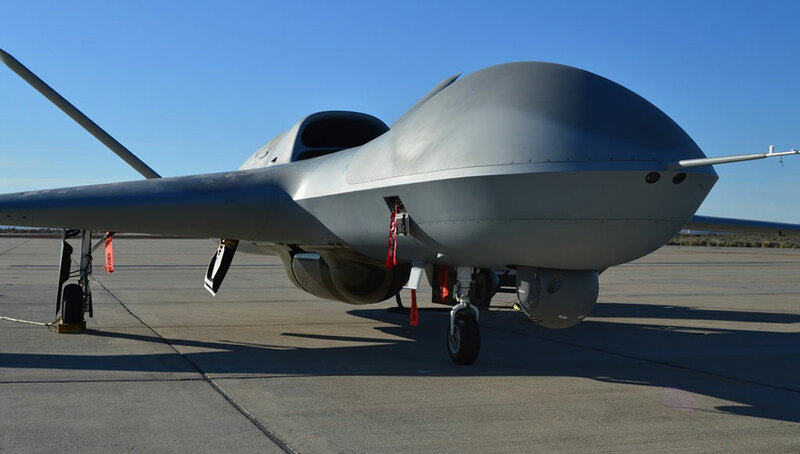 According to GA-ASI, the Improved Avenger will provide an optimal balance of long loiter ISR and precision strike capability, supporting a wide array of sensors and weapons payloads to perform fast, long-endurance, multi-mission ISR and ground support missions. Optical Bar Camera (OBC) and SYRES-2 EO payloads currently operated on the Lockheed Martin U-2 are being tested to fit on the Global Hawk. 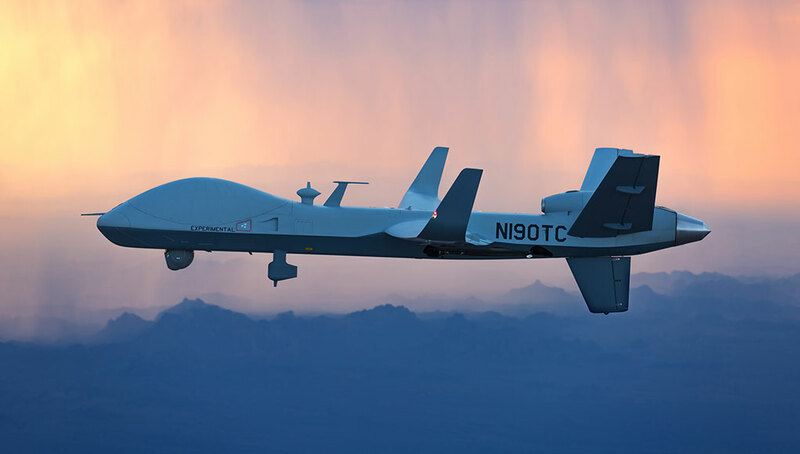 The MS-177 that offers superior performance has already flown on the Predator C Avenger and will be tested on the Global Hawk next year. Photo: James Drew, Flight Global. During recent government-funded testing, Avenger demonstrated its ability to collect high-resolution imagery of land-based and littoral objects with the MS-177 sensor operated at altitudes above 37,000 feet Mean Sea Level (MSL). A total of seven test flights occurred between January and February 2016 at Naval Air Weapons Station, China Lake, Calif. 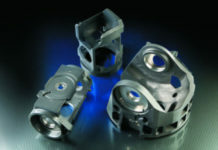 The 264 kg (538 lb) MS-177 payload is one of United Technologies Corp. Aerospace System’s (UTAS) ‘Senior Year Electro-optical Reconnaissance System’ (SYERS) family of sensors, designed specifically for use with high-altitude reconnaissance aircraft such as the Lockheed Martin U-2R ‘Dragon Lady’. The US Air Force plans to withdraw the U-2R from active service by 2019 and is seeking an alternative platform to support its capabilities. The Global Hawk is one of the choices being considered. According to UTAS, the MS-177 is more technically advanced than the SYERS 2 flying on U-2 aircraft and also is significantly more affordable to manufacture. 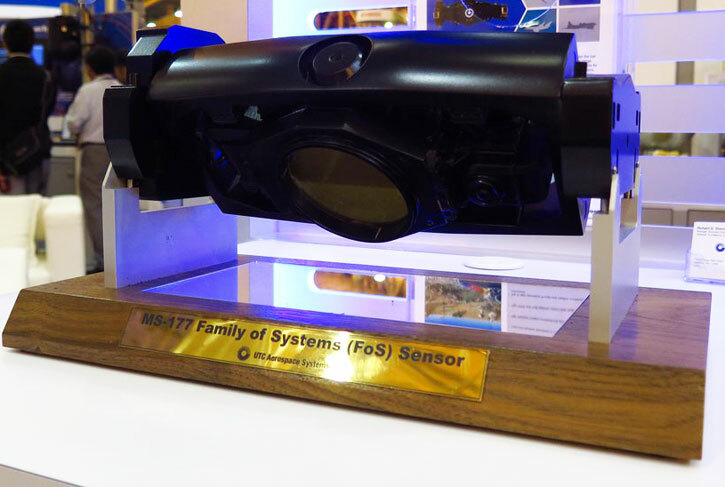 The sensor is a 7-band multispectral system that can be upgraded to a 10-band system to enhance target detection for maritime applications. 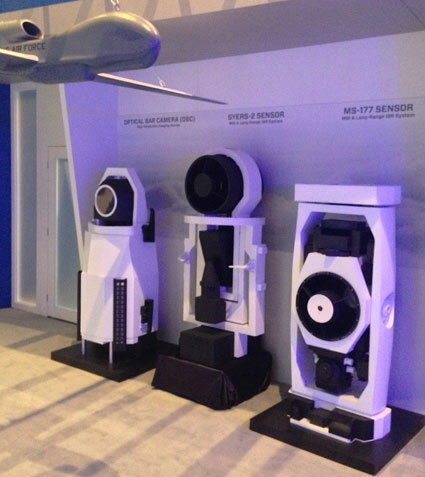 The MS-177 has a wider field of view than its SYERS-2 predecessor. 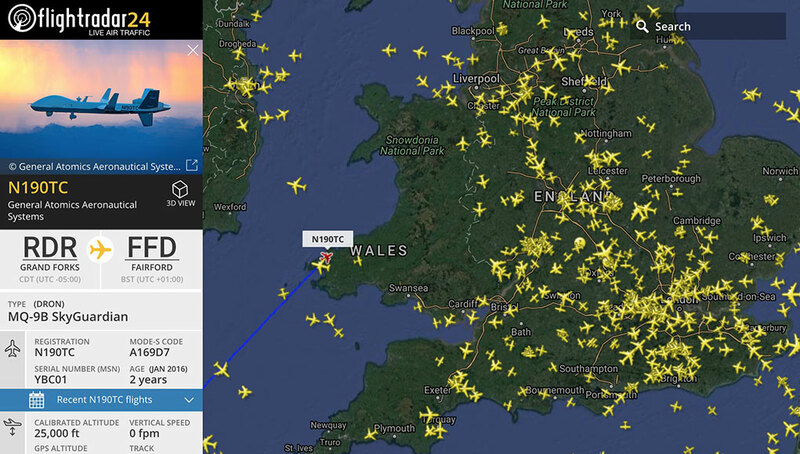 With a 90° roll and 25° pitch, it covers 37,000km² (14,300 miles²) per hour of flight. Apart from the recent Avenger tests the sensor have also demonstrated compatibility with the Global Hawk, P-3, Boeing P-8A Poseidon and at least one business jet. With wider field of view than its SYERS-2 predecessor the MS-177 covers 37,000km² (14,300 miles²) per hour of flight in seven spectral bands. 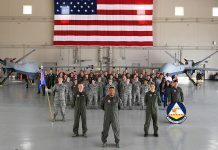 Photo: GA-ASI. 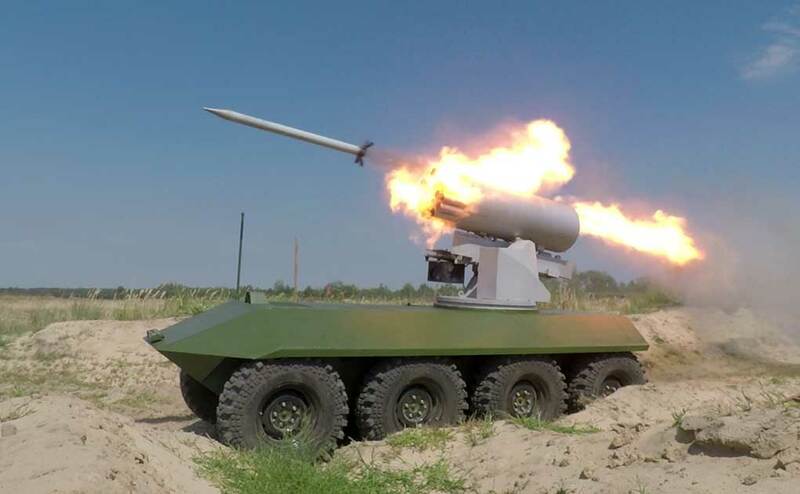 [ismember]The new payload supports GA-ASI’s effort to equip the Avenger with a long-range imaging capability. 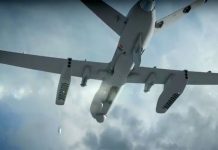 “Avenger and MS-177 deliver a game-changing capability that dramatically alters the Intelligence, Surveillance, and Reconnaissance [ISR] landscape,” said Linden Blue, CEO, GA-ASI. 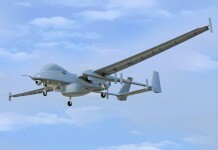 “An MS-177 equipped Avenger provides a strategic ISR capability at a fraction of the cost of other ISR collecting platforms, offering high-resolution imagery from significant standoff ranges, thereby expanding the situational awareness of the warfighter greatly.” Among the products provided by MS-177 payloads are spot imaging, wide-area search, persistent surveillance, and full-motion video.